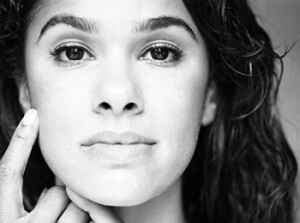 Misty Copeland, a ballerina for American Ballet Theatre (ABT), is the fourth African-American soloist in the company. Ms. Copeland is considered a prodigy who rose to stardom despite not starting ballet until the age of 13. Two years after starting ballet, Ms. Copeland won the Los Angeles Music Center Spotlight Award as the best dancer in Southern California for 1997. After two summer workshops with the ABT, she became a member of the Studio Company in 2000, a member of the corps de ballet in 2001, and a soloist in 2007. As a Turnaround Artist, Ms. Copeland will be working with P.S. 284 Gregory Jackson Community School in Brooklyn, NY.